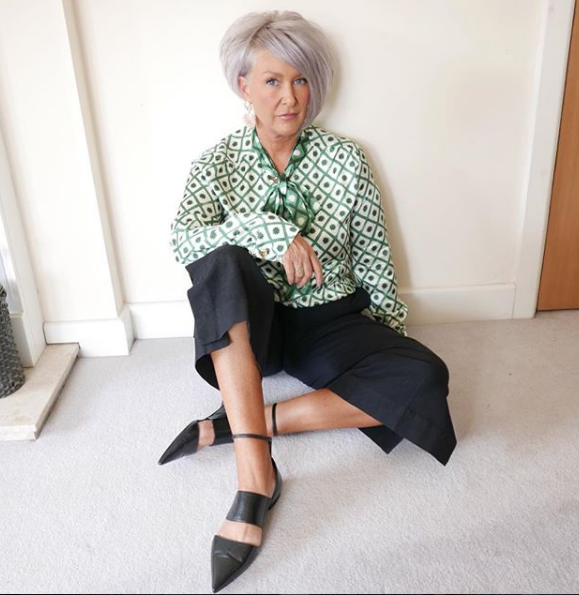 This week STYLE MATTERS is from a lady I’ve been following for ages on Instagram, Helen who is 46 and lives in Shropshire, is always, and I mean always, super stylish! And yet I feel she makes it look so easy. 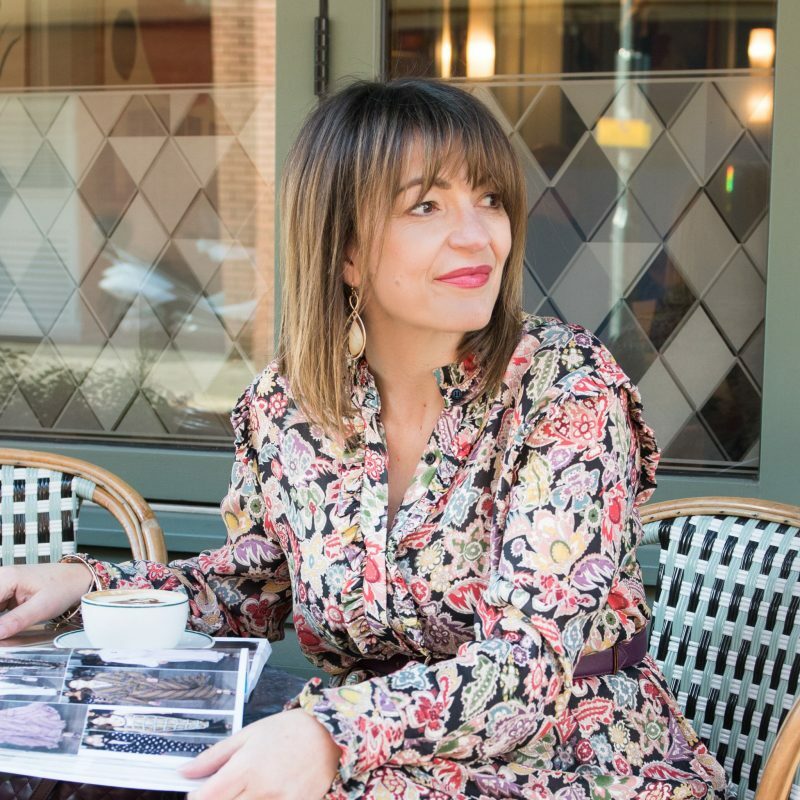 Helen primarily works on Instagram under the name of @simpson.house and focuses on women’s style and lifestyle – In her interview this week Helen is giving us some great tips on her styling, especially for those of you who are pear shape. We hope you enjoy it. 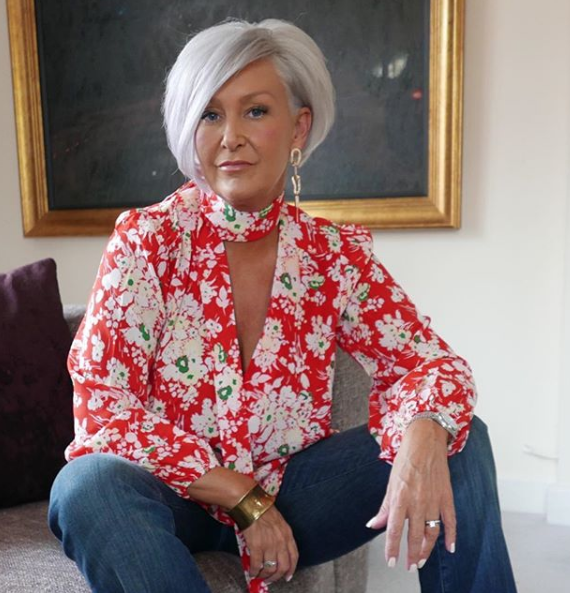 I would call it a classic, ageless, timeless style which reflects my attitude and personality. Style reflects so much about my personality and changes according to my mood. It gives me confidence. Yes, since a very early age. As a child in the 1970s I remember seeing fashion models walking around our local department store promoting the latest styles. These models looked both graceful and confident. I suppose I always aspired to look so effortlessly stylish. 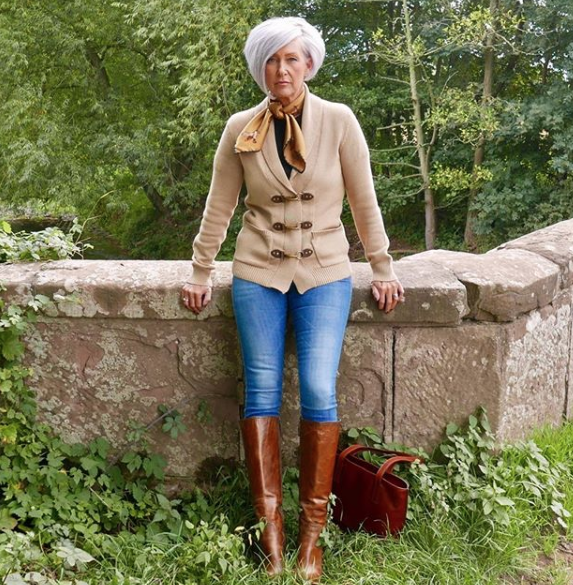 My signature look is jeans, boots, jumpers with attention to accessories, usually a neck scarf and big earrings. Fashion is about the latest trends and is very much up to date and of the moment, whereas style is more of a personal statement reflecting your way of life. Style is a choice, fashion is a following. My body shape is pear at the moment. Having previously battled with an eating disorder my body is prone to changing shape, sometimes I can be an apple, sometimes I can be a straight shape. This is something I have had to accept over the years but nowadays I try and embrace it. My weight fluctuates quite often but my wardrobe is flexible enough to take these changes. What is the best thing about being pear shape? The best thing about being a pear shape is I can wear lots scarfs and big earrings, balancing out my hips. What’s not so easy about your pear shape? Having big hips means that jeans tend to gape around the back of the waist. It is also difficult to find flattering dresses, because what fits on the top doesn’t tend to fit on the bottom and vice versa. What three styling tips do you have for pear shape? What must you avoid (regardless of if it’s in fashion) for your pear shape? To find out more about Helen from simpson.house simply click here. The post STYLE MATTERS – BY HELEN FROM SIMPSON.HOUSE was on Loved by Lizzi first.